FieldStone Ovine was established in 1988 with the purchase of a small flock of crossbred ewelambs. Charollais sheep were introduced to FieldStone in 1995 with the importation of embryos from England. In 1996 and 1997, the growth of the FieldStone flock was achieved by further importation of embryos from England and in 1998 the first home grown embryos were born. Since then we have continually imported premium genetics to complement our superior FieldStone genetics. As one of the founding members of the Charollais Sheep Breeders Society we believe Charollais sheep will make a significant contribution to the Canadian sheep industry. 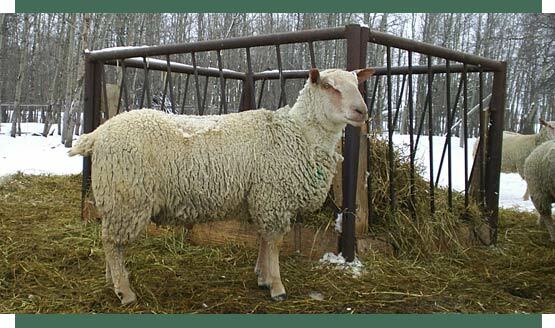 Charollais sheep will grow to become a prominent terminal sire breed in the industry. Charollais sheep also exhibit many of the excellent maternal characteristics sought after in the industry such as lambing ease and milkiness. All FieldStone lambs are measured for back fat and loin eye muscle depth by ultrasound and weighed for growth rate performance as part of the Sire Reference Program. Evaluations for conformation and ease of lambing and mothering are undertaken to ensure only the highest quality breeding stock is used or offered for sale.